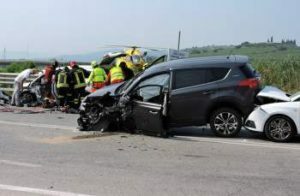 Being involved in an accident even if not fatal can be painful not just for the damage done to the expensive car but for the injuries you sustain. These injuries can leave scars on your body, or cause deformities and can be the reason behind your release from work. If you or someone close to you has been involved in such cases, you should get in touch with a reliable auto accident attorney in Hawthorne who is well versed in the legal field to fight for your cause in the court of law. Rawa Law Group is an outstanding 5-star firm and we lend our legal expertise to claimants who have experienced a ghastly accident that has shattered their world no thanks to injuries and debts from medical expenses and repair cost. Our team of well-experienced lawyers will help you make the right claim and assist you all the way till you get the maximum benefit accrued to you. We are aggressive lawyers, so you can be sure we put our utmost best for your case. If you work with Rawa Law Group, you are granted access to a top-rated accident attorney in Hawthorne, you are also assured of a personalized representation. We are also going to help you maximize your accident claim settlement as our attorneys know this legal matter and how best to handle the cases. You don’t have to worry about fees as we work for free till you are given full compensation, after which we get paid for our legal services. To get access to any proficient auto accident attorney in our firm, please reach out to us for a free consultation.